ATTENTION: Priority Seating is available for this session. To take advantage of this opportunity, you will need to have a valid SXSW badge, and an activated SXsocial account. To get your priority seating, please go here: https://sup.sxsw.com/schedule/IAP26671 IF YOU PRE-REGISTERED AND WERE PLACED ON THE PRIORITY LIST, YOU STILL MUST ARRIVE AT LEAST 30 MINUTES BEFORE THE SESSION BEGINS TO GUARANTEE ENTRANCE. Harness the power of mobile location without causing your customers to scream, "Don't advertaze me bro!" The majority of smartphone owners broadcast their location, giving you 24/7 access to their trail. This new data creates huge opportunities for businesses to redefine how, when and where they communicate with their customers. Hear how leaders are using location data to move beyond the geofence. - What are the barriers to leveraging consumer location data? - What opportunities does location context and profiling offer brands? - What location strategies work better than the rest? 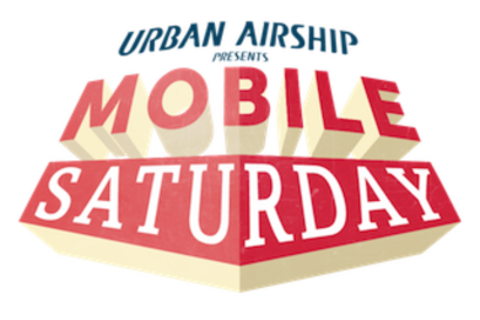 Mobile Saturday: Sponsored by Urban Airship. Asif, is a veteran tech start-up, business-development and marketing entrepreneur with more than 15 years experience. He is currently focused on working as a consultant, educator and speaker to the location-based marketing services community. Prior to launching The LBMA, Asif has worked with companies as diverse as Limited Brands, IBM, Baxter Pharmaceuticals, Molson-Coors, Communispace, BestBuy, American Airlines, ScotiaBank, and Sears. You can listen to Asif’s weekly podcast - This Week In Location-Based Marketing every Monday at 10am. An avid technology evangelist, Asif also holds degrees in economics and management sciences from the University of Waterloo, and can be found on Twitter at: @AsifRKhan. Ben West is the co-founder of Eventbase and its sister agency Intergalactic. Eventbase creates mobile apps for some of the world’s biggest events including the 2010, 2012 and 2014 Olympics, Sundance Film Festival, South By Southwest, Social Media Week, Lollapalooza and hundreds more. Intergalactic is a digital agency specializing in custom apps, interactive installations, websites and visualizations. Prior to Eventbase and Intergalactic, Ben built and operated the technical systems of StockHouse.com which was the largest website in Canada during the dotcom era with over one billion dynamic page views per year. In 2009, Ben was selected as one of Business in Vancouver’s “40 Under 40.” He holds a BA Honours in Media Studies from Queen’s University. Follow Ben on Twitter at @benjwest. As President of the Americas, POSSIBLE, Jason is responsible for leading the long-term stability and growth of the region. Jason has 20+ years experience in digital strategy. He is a long-time advocate of using data to inform digital strategies to help clients attract, convert and retain customers. Jason supports our clients and employees in driving new engagements and delivering great work that works.